Michelle Heyman and Lauren Wells can rightly take their place as sportswomen who made a difference in Canberra. File Photo. Canberra sport has been blessed for many years with the calibre of high profile sportswomen as role models for young women seeking to navigate a pathway in their chosen sport. Lauren Jackson is one who readily comes to mind. Lauren won five WNBL titles with the AIS and the Canberra Capitals and conquered the WNBA, winning the League MVP three times. She proved to many a young female basketballer that you didn’t need to come from the bigger cities to be the best player in the world. There was swimmer Petria Thomas, who won three gold medals at the 2004 Athens Olympic Games. Petria also won nine Commonwealth Games gold medals, overcoming numerous injuries and setbacks along the way. With Alicia Coutts, Petria showed that success is achieved through perseverance. Heather McKay started it all with her dominance in the world of squash, winning 16 British Opens and losing just two games in her entire career. Regarded as the greatest female player in the history of squash, Heather was also selected in the Australian women’s hockey team, inducted into the racquetball Hall of Fame, and at one time, was ranked number 1 in World Seniors’ tennis. There have been many others over the years such as the Powell sisters and Anna Flannigan in hockey, or Mel Breen who broke the Australian 100 metres sprint record, which had stood for 20 years. 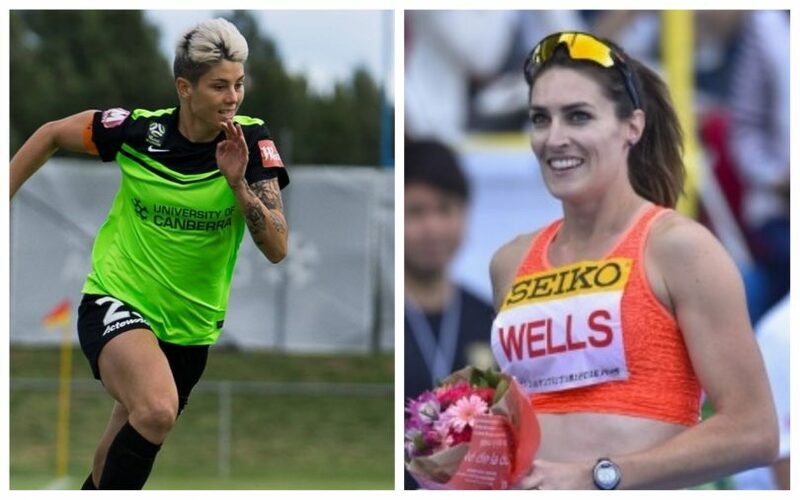 Michelle Heyman and another Lauren, track star Lauren Wells, can also rightly take their place as sportswomen who made a difference in Canberra. Michelle said she finds it more rewarding to be a positive role model for the younger generation than playing the sport she loves. Photo: Supplied by Michelle Heyman. 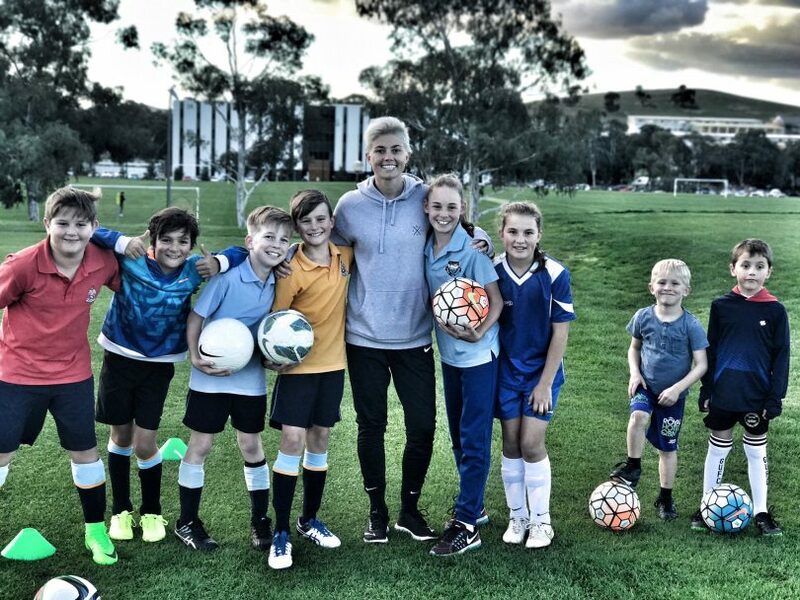 Michelle, who is leaving Canberra United after eight seasons playing 104 games, had young women flocking to the W-League because of the excitement she generated on the field. She was a player who had the crowd anticipating something every time she touched the ball. But there was more to Michelle than meets the eye. She had to virtually re-invent herself a couple times during her eight years in Canberra as the team around her changed. It was her work off the field that will live in my memory, such as the sight of her signing autographs well after the game had finished with a long queue of young girls who see her as an inspiration in the sport. In recent times, she has found a voice as a spokesperson for an organisation called ‘WithYouWithMe,’ helping athletes transition from sport. The organisation offers assistance in getting jobs once the crowds have stopped cheering, which can be a difficult time for athletes. She has also become an advocate for mental health, and Michelle speaks from personal experience when doing this, as she battled anxiety. Lauren Wells has started her new stage of life as a primary school teacher. Photo: Supplied by ACT Athletics. Lauren Wells appears to have transitioned out of international track and field without any fanfare. Lauren has just started as a teacher at Giralang Primary this week and, by her own admission, is daunted by the prospect of taking control of a class of students. She is, none the less, excited by the next phase of her life. Like Michelle, Lauren has been an outstanding role model for young women looking for guidance. To say that she has the credibility to be that guiding force is a massive understatement: Two Olympic Games; four Commonwealth Games; 11 times national 400 metres hurdle champion. With a strong family network, Lauren takes things in her stride despite her achievements. I remember well when she received the call-up to the Commonwealth Games in Melbourne as a 17-year-old. Since then she has dominated the national landscape. She has also shown young women not to be afraid to take a chance. Lauren decided to have a go at the long jump as well as the 400 hurdles and made the Commonwealth Games team in both events. Many parents tell me she is outstanding as the coach of young women coming into the sport. It’s a trait that will serve her well in the next phase of her life.